Does anyone have experience with JMP automation via IIS Web Server. When I use VS Development Server, JMP OLE Automation works fine. 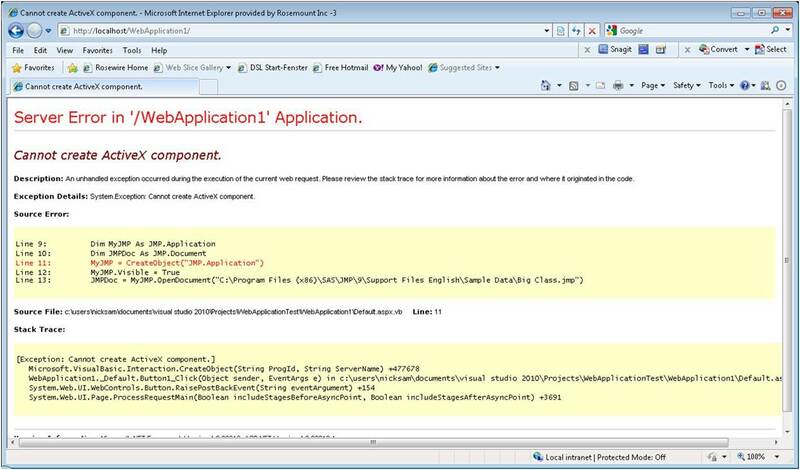 However when I switchthe application to IIS Web Server I always get an error "Cannot create Activex component". The full description of the error is given in the attachment. To me it seems that in the IIS case there is some security issue, but I have no clue how to address it. If anyone has experienced this problem, or has ideas how to eliminate this error, please let me know.